LONDON Malala Yousafzai, the Pakistani teenager shot in the head by the Taliban as she returned home from school, is writing a book about the traumatic event and her long-running campaign to promote children's education. Publisher Weidenfeld and Nicolson announced it would release "I am Malala" in Britain and Commonwealth countries this fall. Little, Brown and Co., will publish the 15-year-old's memoir in the United States and much of the rest of the world. "Malala is already an inspiration to millions around the world. Reading her story of courage and survival will open minds, enlarge hearts, and eventually allow more girls and boys to receive the education they hunger for," said Michael Pietsch, executive vice president and publisher of Little, Brown. 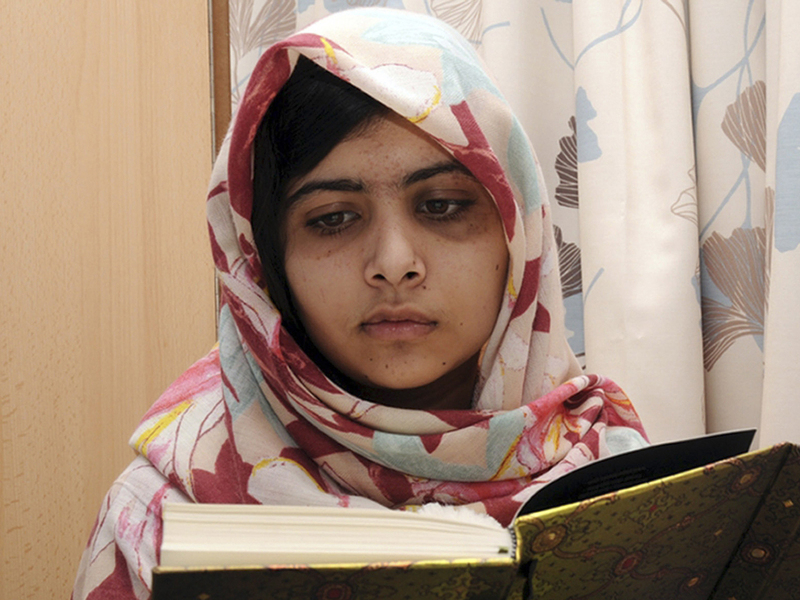 A Taliban gunman shot Malala on Oct. 9 in northwestern Pakistan. The militant group said it targeted her because she promoted "Western thinking" and, through a blog, had been an outspoken critic of the Taliban's opposition to educating girls. The shooting sparked outrage in Pakistan and many other countries, and her story drew global attention to the struggle for women's rights in Malala's homeland. The teen even made the shortlist for Time magazine's "Person of the Year" in 2012. Malala was brought to the U.K. for treatment and spent several months in a hospital undergoing skull reconstruction and cochlear implant surgeries. She was released last month and has started attending school in Britain. Malala's father: "She will rise again"
Malala said in a statement Wednesday that she hoped telling her story would be "part of the campaign to give every boy and girl the right to go to school. "I hope the book will reach people around the world, so they realize how difficult it is for some children to get access to education," she said. "I want to tell my story, but it will also be the story of 61 million children who can't get education." Publishers didn't reveal the price tag for the book deal.